We present semantic management of Web Services as a paradigm that is located between the two extremes of current Web Services standards descriptions and tools, which we abbreviate by WS*, and Semantic Web Services. On the one hand, WS* does not have an integrated formal model incurring high costs for managing Web Services in a declarative, but mostly manual fashion. 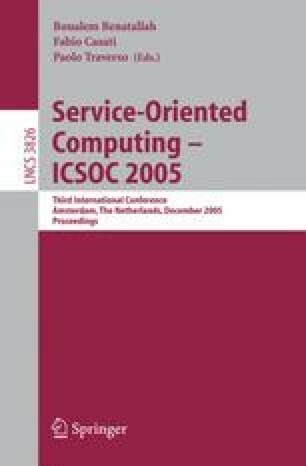 On the other hand, the latter aims at the formal modelling of Web Services such that full automation of Web Service discovery, composition, invocation, etc., becomes possible — thereby incurring unbearably high costs for modelling. Based on a set of use cases, we identify who benefits from what kind of semantic modelling of Web Services, when and for what purposes. We present how an ontology is used in an implemented prototype.